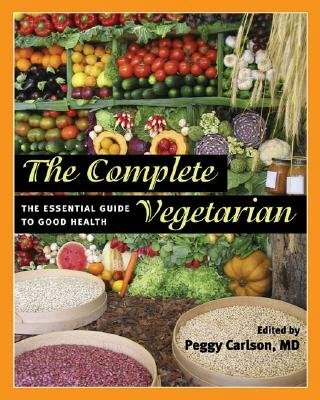 Citing health concerns as the number one reason why people adopt a vegetarian diet, this collection makes important scientific connections between good health and vegetarianism. The Complete Vegetarian examines the diet\u2019s impact on chronic diseases and serves as a nutritional guide and meal-planning resource. Leading vegetarian nutritionists and medical doctors devote entire chapters to nutritional aspects that include fats, protein, and fiber; to diseases such as diabetes, cancer, heart disease, and high blood pressure; and to vegetarian meal planning, including specialized diets for children, pregnant women, and athletes. The contributors' cutting-edge research finds that it is not only an absence of meat that accounts for the health effects of a vegetarian diet; other contributing factors include less saturated fat and more fiber, antioxidants, and unsaturated fats than other diets. The Complete Vegetarian promises to be an essential resource for health professionals and the growing number of people who have adopted or are thinking about adopting a vegetarian lifestyle. Contributors include John J. B. Anderson, Dina Aronson, Peggy Carlson, James Craner, Brenda Davis, Simon K. Emms, Jeanene Fogli, Suzanne Havala Hobbs, Michael A. Klaper, Erin L. Kraker, Valerie Kurtzhalts, D. Enette Larson-Meyer, Reed Mangels, Carol M. Meerschaert, Virginia Messina, Mary Helen Niemeyer, Carl V. Phillips, Sudha Raj, and Cheryl Sullivan.